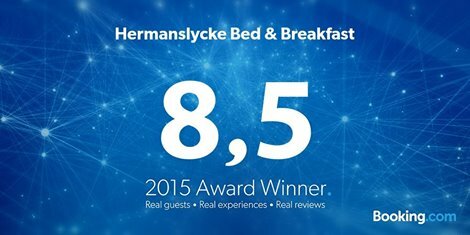 Hermanslycke B&B is located between Falkenberg and Varberg, close to the E20/E6 and the small village of Tvååker. From our lovely B&B it is not far to Ullared and the famous department store Gekås. As our guest you stay in one of our cosy rooms, you can choose self-catering or to have breakfast with us. Our Farmhouse has a spacious kitchen and three bedrooms with room for 8 to 14 people. In the summer you can relax in our big garden, perhaps by the barbeque. In the winter you can cuddle up by the fireplace in the lounge. For 10 years we have received guests from all over the world. Many guests return and give us fantastic reviews. On booking.com we rate 8,7 out of 10. Please, give us a call and we will be happy to arrange a nice stay according to your wishes. Marie och Björn Hälsar alla hjärligt välkomna!